My husband grew up drinking at The Red Lion in Shepperton, and earlier this year it was bought, and subsequently revamped by the owners of the very popular Fish Club restaurants in London. Two of the trio responsible also grew up in the area, noticed the lease for sale and recognising the opportunity, spent £500,000 on the refurbishment. I hadn’t been post-renovation so can’t compare pre-revamp however friends and family say it looks a whole lot different and they love it. Last Sunday four of us headed there for a lunch and a few Sunday drinks! Our afternoon started with a few pints of Guinness (the boys) and a rather strong champagne cocktail for me, I was literally drunk on one however decided on a bottle of the Malbec Santa Organica (Argentina) (£24.00) to accompany my lunch (I shared a bit of it). As we are super fit athletes at the moment, we skipped the starters and went straight for mains. Starters though looked very good with options including the Pate de Campagne with Pistachio, Pickled Shallots & Toast (£7.45) and what I would have gone for, the Beetroot & Onion Tart, Caramelised Goat Cheese, Apple & Walnut Salad (£7.50). Three of us however ordered the Roast Beef with Yorkshire Puds, Horseradish & Red Wine Sauce (£15.00) which was hands down, one of the best roasts I have ever had. The beef was cooked to perfection, the Yorkshire pud was perfect and the potatoes divine! 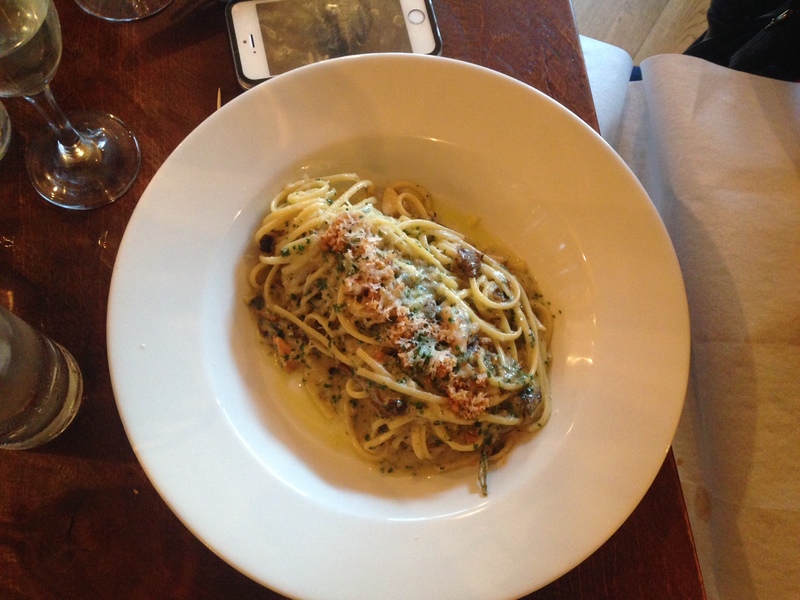 My friend ordered the Wild Mushroom Linguine (£12.50) which was an excellent size and she thoroughly enjoyed it. I honestly cannot fault the food. Everything was amazing alongside the service. The staff were very attentive but not annoying as if you read my blogs, I hate. Nothing was too much trouble for them and they were all just lovely…We were very well looked after from start to finish. In terms of events and private dining (which is what I am all about) the back area we sat in could be hired privately and would work very well for either a personal or professional function. A small office Christmas dinner would work really well and you can find their Christmas menu on their website here. Really looking forward to going back! Design an event in Holland and watch your dreams come true!